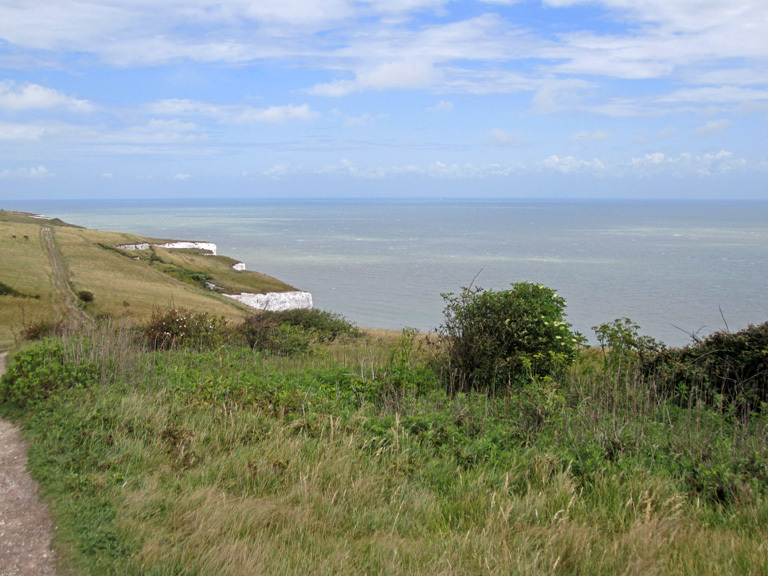 I took a day out last week and went on a fabulous cliff-top walk with a friend of mine from Dover to Deal in Kent. We were SO lucky with the weather, just a few spots of rain here and there, but look at the view – it more than made up for that! 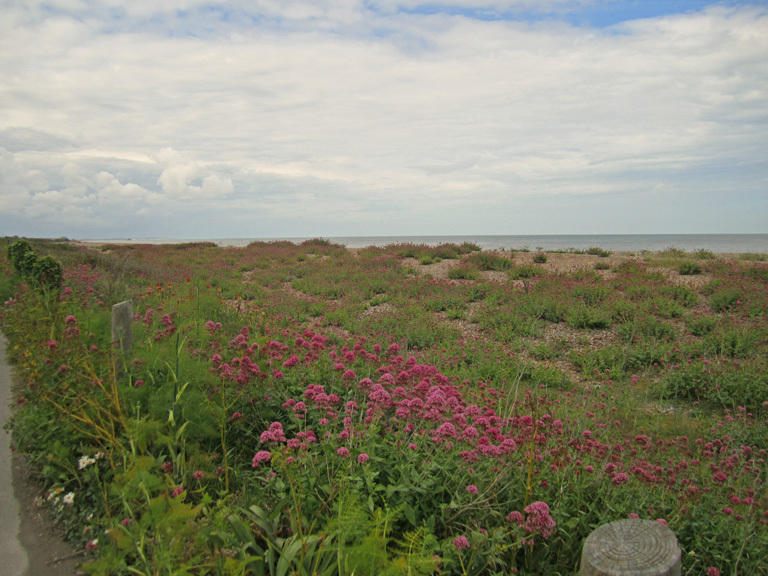 To be honest, I love to be by the sea when it’s windy and a bit bracing…really does blow away the cobwebs! So completely natural but at the same time like a garden. I think this is a brilliant example of how we can be inspired by the natural habitats around us. 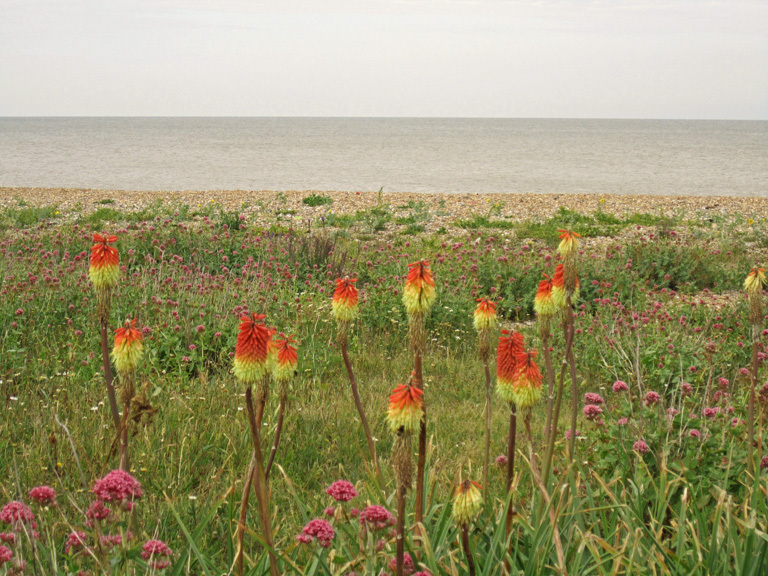 Walmer beach would be the perfect place to visit for inspiration if you wanted to create a gravel. The planting had a sort of rhythm about it as it led the eye down to the water’s edge. I’m not quite sure how the red hot pokers had arrived on the scene, but I think you’ll agree that the effect was quite dramatic! 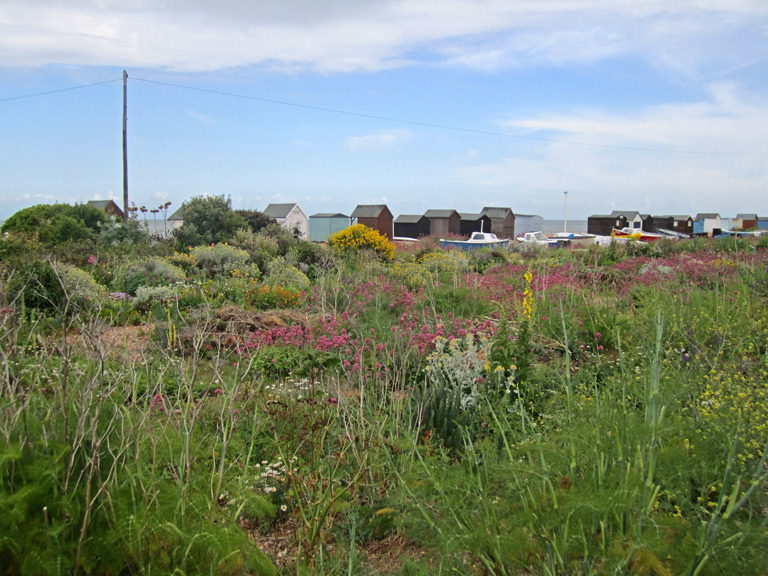 The natural pathways between the plants were meandering and informal, much the feeling of any gravel garden whether in your back garden or out in the open like this. Next time you’re out for a walk in the countryside, look around you and take in what you see. The clues you’ll find in the things you love I am certain will spark some sort of inspiration that you can bring back home into your own garden.